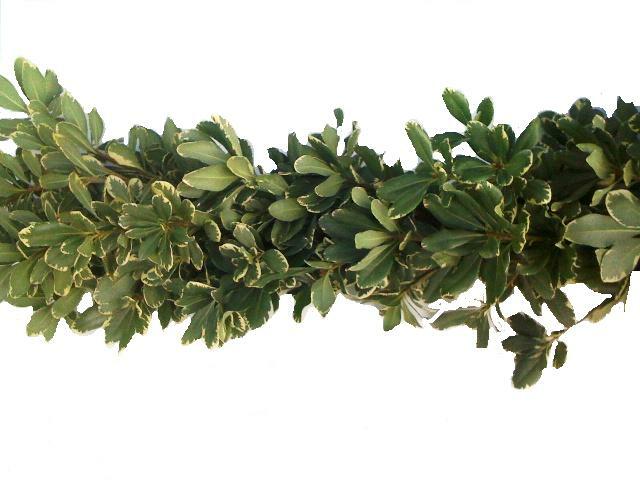 Our Variegated Pittosporum garland brings the beauty of a combination garland but the simplicity of a single foliage garland. 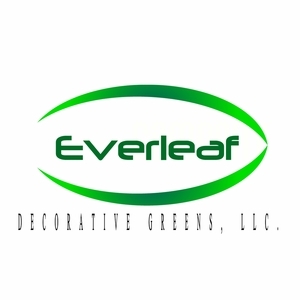 Because of its multi-colored leaves, Variegated Pittosporum is a popular choice for wedding table decor. 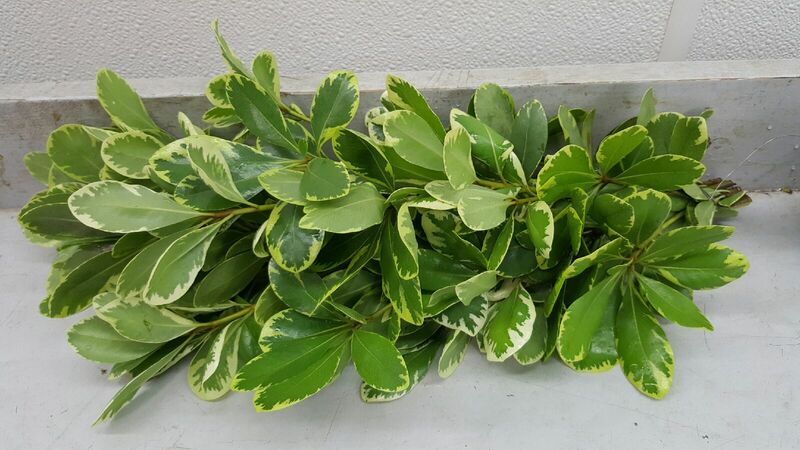 This product can last 4-5 days depending on care and climate.